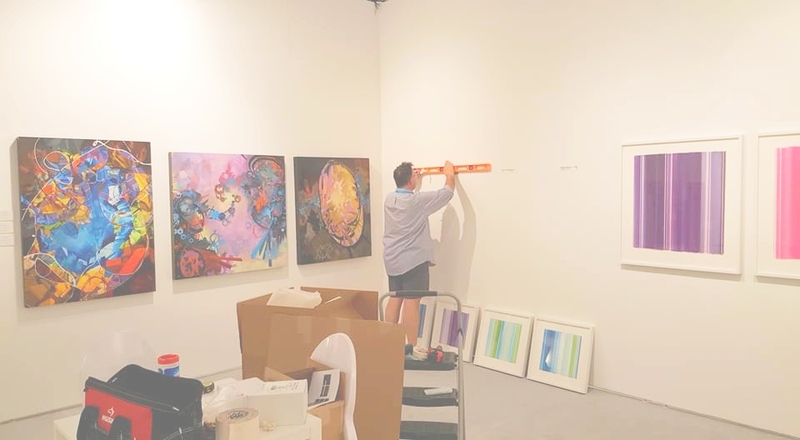 The Context Art Miami fair opens tomorrow. Yesterday we hung most of the booth, and thus today we slept in and arrived around noon just to finish hanging and to put the labels. When we get there, artist Amy Marx has already arrived, pleasantly surprised to see that Audrey Wilson had already hung her work the day before. Soon I discover that I didn't bring all the labels - no idea where they are, so I now have the task of printing labels back at the hotel - also ran out of extension cords - also left behind at home. Tomorrow the fair opens to VIPs and the biggest art dance in the world begins.